Kwinana Motorplex is a fantastic circuit, smooth and flat with a tricky course in the Road Race. Bring your friends and cildren to race on a car free circuit only 30 mintes from the CBD. Enjoy the Race and hospitality of Peel Cycling Club putting on this event with a long of developing Champions. *Grades may be changed by the event organisers after close of registrations to suit the number of nominations. Junior rollout and distance restrictions apply. Junior Age based racing is offered, so Riders must enter in Age based categories. Womens grade may be combined depending on numbers, but Prizes will be awarded for each grade. New to Racing ? You will need to buy a “ 1 Race membership” to cover you for your race. Please select “Non Racing Member” and it will be included in your entry fee ($38.65). 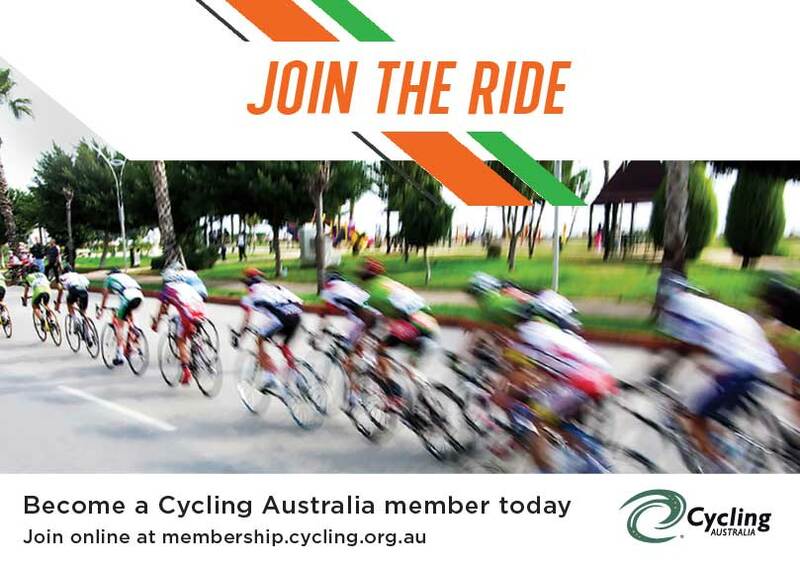 Cycling Australia Recreational members need to get a “1 Race membership” to cover you for your race. Please select “Non Racing Member” plus your entry “with 1 Race membership” and it will be included in your entry fee ($38.65). Juniors are expected to have a full Racing License from Cycling Australia, but 1 RACE temporary membeships are available for this event. 3 RACE temporary memberships and UCI International Liscences need to contact WestCycle to enter manually. Ph 6336 9680. Racing membership packages allow you to get the most out of your cycling and keep you protected whenever you’re on your bike, whether it’s when you’re training, racing or riding. Racing Membership is designed specifically for riders who plan to ride competitively, from juniors through to masters, in over 3,000 national, state and club run events each year.